Before you can decide which glass shower door works best for you, you’ll need to take a good look at your space. How much space do you really have? Measure it and write down the dimensions. What other fixtures might you want to match? If you get a framed shower door, you might want to match it with your light fixtures or your vanity. Which type of glass shower door is easiest to clean? What type of maintenance is required for the new shower doors you’re considering? The good news is that you have so many options! There will be a perfect glass shower door for your budget, your space, and your style. Now that all the basics are figured out, you need to narrow down what type of glass shower door will work for you. Look at the options below and choose the one that best fits your bathroom style (and the space you have to work with!). One of the first decisions you’ll need to make is whether you want your glass shower door to be framed, frameless, or semi-framed. A frameless shower door is sleek, modern, and easy to clean. A framed shower door is a better option if you want something functional that will keep the steam and water securely inside your shower. Not sure which to choose? A semi-framed glass shower door may offer you the best of both worlds! You may not know it, but you can have your glass shower door open in a variety of ways. A sliding shower door is a great option because it takes up minimal space and doesn’t get water everywhere. A pivot door swings outward and is optimal for a narrow shower stall. A bi-fold door folds in on itself, which is a great option for small bathrooms. Depending on the space you have available, you can select a glass shower door with a standalone shower or a tub enclosure. If you have the space for it, a lot of people opt for a shower and tub combo. Did we mention? Be sure to measure your space! Use the width at the widest point. You need to know the exact dimensions of your space before you make any decisions! For best results, we recommend you contact a professional at Alamo Glass & Mirror to assist you with this process. BONUS TIP: Keep in mind that there are more options and upgrades available. Consider a partial enclosure or a walk-in shower for a really modern look! Your next design choice involves selecting the style of your glass and whether you want any special designs on it. Is privacy the most important thing to you? If so, consider going with frosted glass or adding a feature or design on the glass shower door. Is style the most important thing to you? If so, consider going with clear glass to give your bathroom a sleek look. Make sure you see examples before you buy, especially if you’re going with a design. After all, you want to love your new look for years to come, right? One last design element that you may want to consider is what kind of finishes you already have in your bathroom. 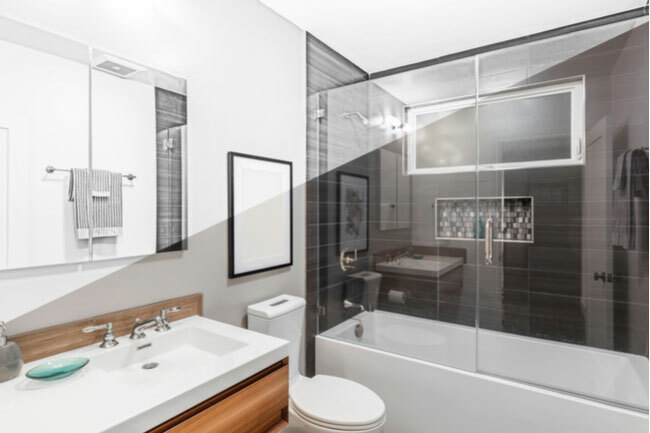 It’s important to keep something like this mind if you want your glass shower door to match the other finishes, such as light fixtures or your vanity. There you have it! 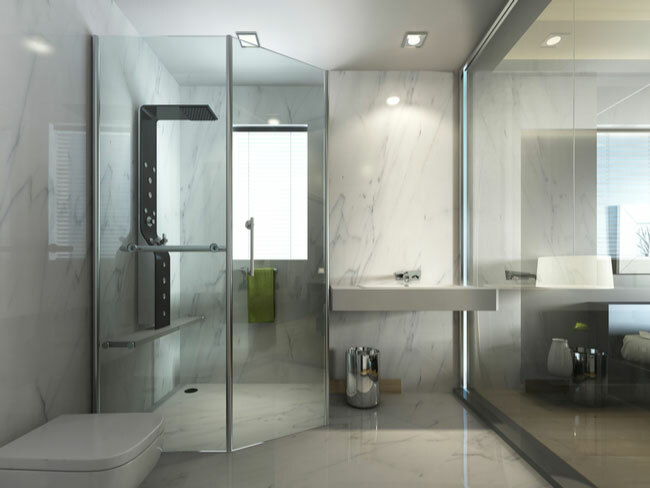 We’ve covered four easy tips to help you choose your new glass shower door.